Are you looking for something fun for the kids this Easter break? Look no further than Citywest Shopping Centre, here for more free fun! 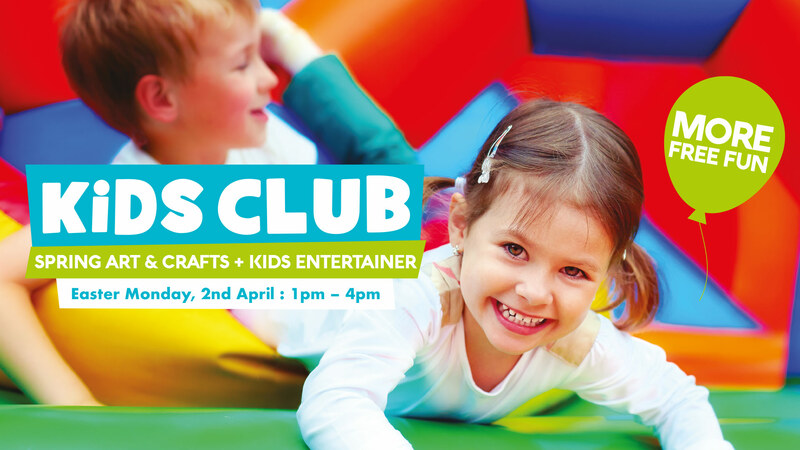 Come and enjoy our free kids’ club on Easter Monday, 2nd April from 1-4pm. We have Spring Arts and Crafts corner where your little ones can make their own Spring bird feeder, and free kids’ entertainment where they can get involved in musical games and dancing. Keep your kids smiling this Easter and join us at Citywest Shopping Centre! More Free Fun this Easter.